When Royal Caribbean designed its cruise ships, they built these ships from the keel up to offer guests amazing experiences, and in some cases, the inspiration for new features or areas was from something outside the company. In business, once a concept or idea is proven to be succesful, it is not unusual for companies to start adopting it into their products to improve their offerings. With Royal Caribbean, they are not afraid to branch out and try new ideas that have the potential to attract new customers. Today, we look at a few different aspects of the Royal Caribbean cruise experience that were borrowed, adopted or inspired by something outside the company. 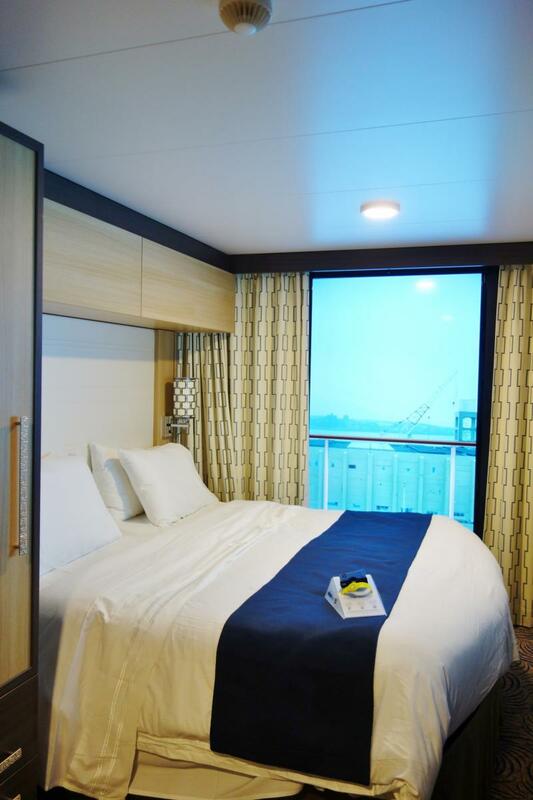 One of the most impressive innovations that Royal Caribbean has rolled out in the last few years are its virtual balcony staterooms, where inside staterooms offer real-time high definition views of the ocean. It is essentially a balcony experience for an inside stateroom price. The idea to display live outdoor views in inside rooms was first done by Disney Cruise Line with their virtual portholes when they debuted on the Disney Dream in 2011. Royal Caribbean took that concept and made it significantly larger. 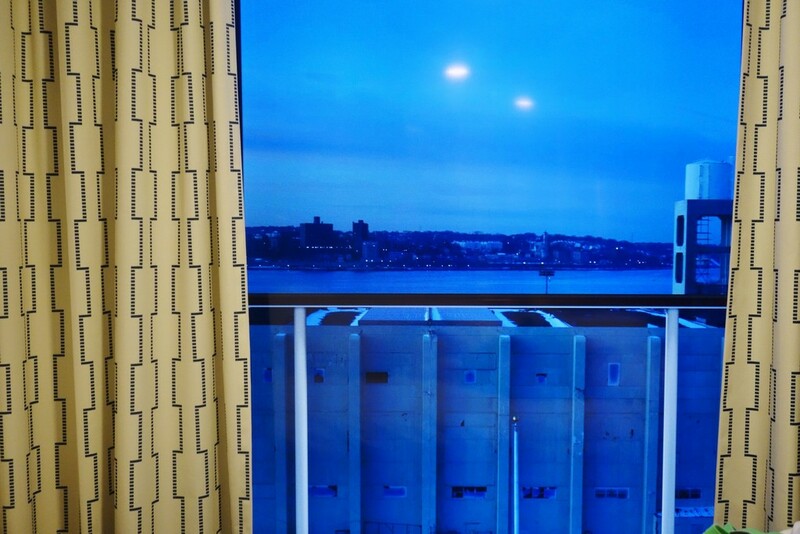 Virtual balconies are 80-inch LED screens recessed into the wall, complete with curtains and faux balcony imagery. Royal Caribbean chairman and CEO Richard Fain mentioned Royal Caribbean saw what Disney was doing and decided to improve upon it. "We actually had looked at the idea, and we didn't think that the technology and the receptivity from the public was there," Fain says. Disney "proved that the public does value something like this." 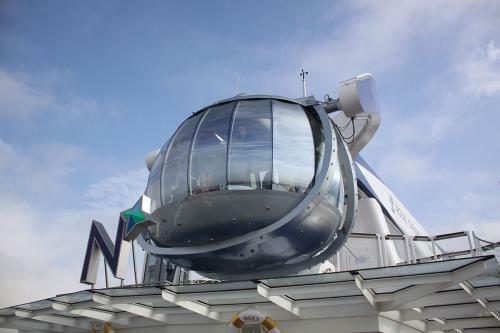 One of the signature features on Royal Caribbean's Quantum class cruise ships is the 300-foot observational pod known as North Star, which gives guests 360-degress views of everything around. The idea for North Star was inspired by the London Eye, but instead of placing it on a ferris wheel, there is just one pod and it is attached to a giant robotic arm. Royal Caribbean chairman and CEO Richard Fain said in an interview, "Quite frankly, the success of the London Eye had a lot to do with this." When Royal Caribbean designed its formal night, all the time restaurant, The Grande, on Quantum of the Seas, it went back in time for inspiration. The design for The Grande is evoked, "by the grandness and classic detailing of European ocean liners." 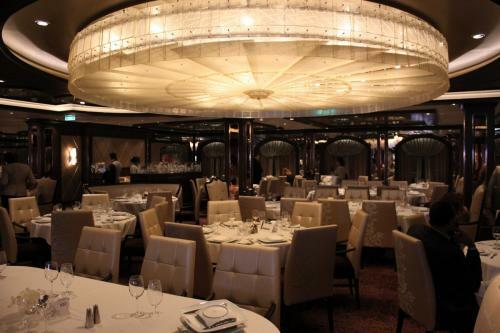 Essentially, The Grande is a throwback to the kind of dining rooms the golden age of ocean liners featured. It's when dining was not just a task, but a time-honored ritual. On Royal Caribbean's Oasis class ships, the Boardwalk neighborhood is always popular with guests because of the pleasing aesthetics, fun activities and great views of the sea. The Boardwalk neighborhood was inspired by both the seaside piers that dot the coast of England and the nostalgic boardwalks of yesteryear such as Coney Island. The focal point of the Boardwalk is the traditional, hand crafted carousel, which would be common on many boardwalks. There is also hot dog stands, ice cream, and even a candy shop called, "Candy Beach" (get it?). When Royal Caribbean announced the concept of a virtual balcony on Quantum of the Seas, it was a big deal because it offered passengers in an inside cabin a view without the cost of a balcony or even oceanview stateroom. Today we have a new video by Royal Caribbean that has a behind the scenes view on this unique feature found on the world's smartest ship. Speaking of virtual balconies, don't miss our exclusive interview with the team that built the virtual balcony! 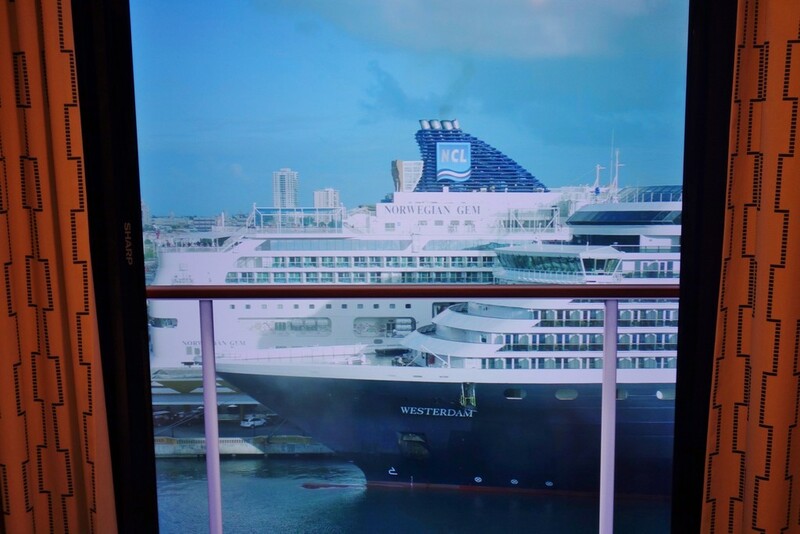 Of all the new and intriguing innovations coming to Royal Caribbean's newest cruise ship, Quantum of the Seas, few have captured the public's imagination quite like the virtual balcony. 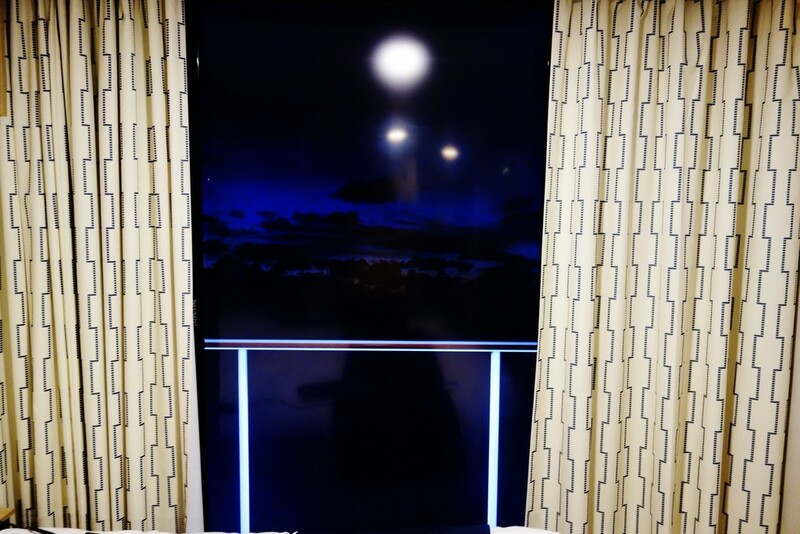 These 80-inch LED screens offer cruisers in select inside staterooms the opportunity to get views around the cruise ship in real-time displayed in their cabin. We had a chance to talk with the technical lead of the virtual balcony, Tim Mattison from Control Group, and dive into the details of how he and his team created these new virtual windows to the sea. From the project's creation, Mattison and his team had a good idea of how they wanted to tackle the project but there definitely some technical hurdles to overcome, "We had a pretty good idea of what we wanted to accomplish. There were a few features that were trickier to implement than we thought, but I think the bulk of it was tying together all the different systems it talks to." So what's so difficult about getting a video feed from one end of the ship and displaying it somewhere else on the ship? The answer is far more complex than you might think. Mattison said it took a team of network engineers and software engineers just to get it working in a prototype environment, "there's so much behind the scenes to make it happen." Mattison was particularly proud of the two RED Epic cinematic cameras mounted at the stem and stern of the ship to deliver the video to the virtual balcony displays. "We had a couple of requirements for a camera and we spent a very, very long time finding a camera that met them. RED was the only company that would warranty the camera and said it would run indefinitely. According to RED, we have the record for the longest running RED camera. We approached plenty of them [other manufacturers] and all of them said our camera will not do this and if we find out that you're doing this, we will not honor your warranty. RED said please do this, this is what we want you to do with our camera. The RED camera has fantastic dynamic range and it supports incredible resolutions and the sensor is huge. This camera supports up to 240 frames per second in certain resolutions." Interestingly the camera itself supports 4k resolution, which is a generic term for ultra high definition television (UHDTV), and while the output in the virtual balcony is currently downsampled to the virtual balcony's native resolution. 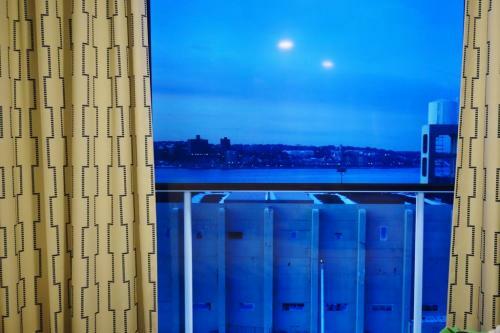 In fact, in the future with a few upgrades, the virtual balcony could upgrade to deliver a true 4k experience without major hurdles thanks largely to the RED cameras. One of the questions our readers wanted to ask Mattison was what happens at night and how good the picture is during the evening. Mattison replied simply, "You see basically what you see when you look out the [real] balcony. But if you have moonlight coming off the waves, you see that. They wanted it to be as authentic as possible; if you were to look out your balcony and see nothing, that's what you're going to see." Another good question from our readers was why the virtual balcony shows a view forward or aft but not sideways, like a real balcony does. Mattison responded, "There was no place to place a port or starboard screen. If you have a forward screen, you want have it face forward. There were some concerns about sea sickness and things like that. 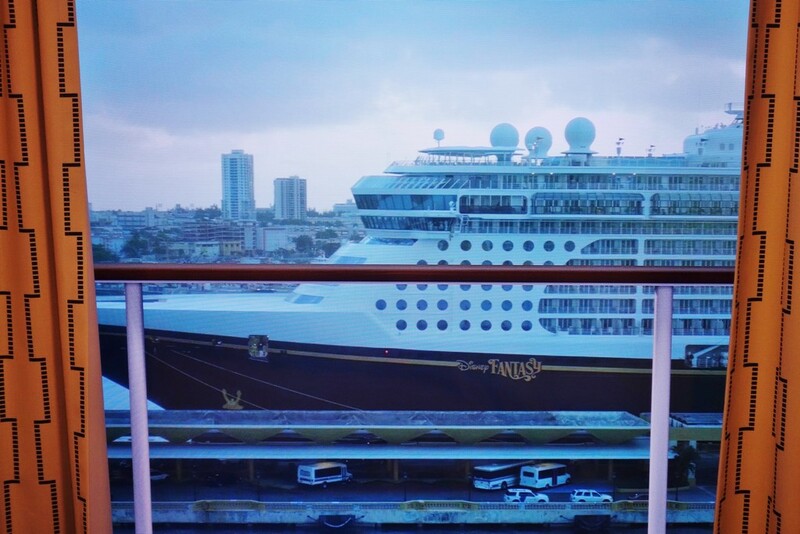 There may be port and starboard views eventually, but that's about all I can say." From my talk with Mattison and others from Control Group, I got the subtle notion that what we know about virtual balconies today will not be the final version and that more virtual balcony features will be announced in the future. We also wanted to know if guests can change the view between forward and aft currently. Mattison said, "No, it was one of the things that was under consideration. We wanted to keep the remote control as simple as possible. And again, with wanting to have an authentic view they wanted to make sure that people couldn't change the view. At least for now. If you had a real balcony, you can't just say I'd want to see the balcony on the other side." Mattison did indicate there were no limits to what the technology could do and if Royal Caribbean wanted to allow guests to change the view or offer other views, it could be done, "If people are interested in it, it's totally possible. There are no limits to the technology that would stop us from doing that. So if you want it, request it." 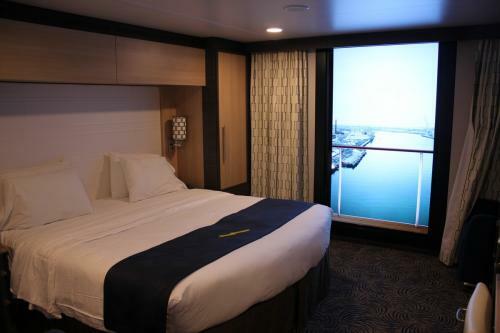 When Royal Caribbean's Navigator of the Seas emerges from dry dock next week, among the new changes onboard the ship will be virtual balcony staterooms that feature an 80 inch high definition LCD screen in select inside staterooms. Fox News interviewed Ronnie Farzad, Royal Caribbean’s head of entertainment technology, and he says the new screens stretch from nearly floor to ceiling and wall to wall, complete with the sound of the seas in real-time from the camera location. 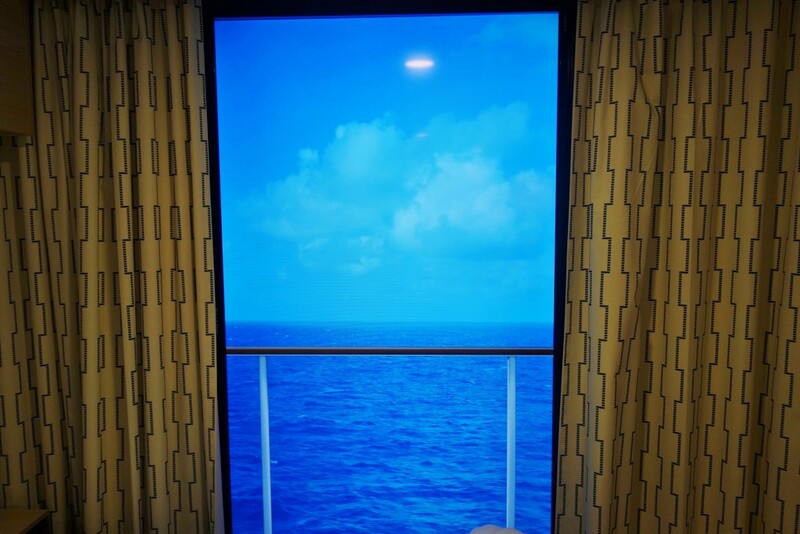 Royal Caribbean is also included a banister for a feeling of safety. Why a banister? Well, Royal Caribbean told Fox News that they tested a simulated virtual balcony with 30 to 40 people at Royal Caribbean headquarters, and many of the testers complained that an open ocean view is a little scary because there was nothing to keep passengers from “falling in,” especially if the ship is moving in high seas, Farzad said. 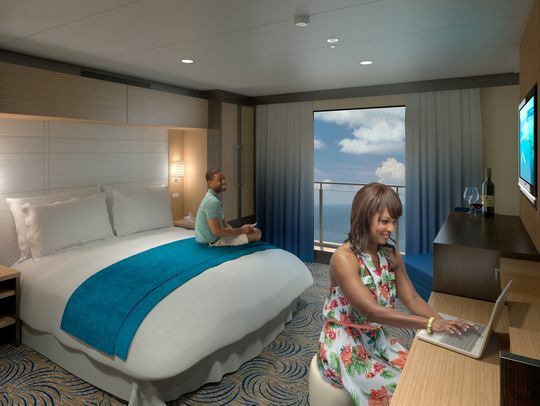 While Navigator of the Seas only has about 80 staterooms with virtual balconies, there will be a virtual balcony in every interior cabin on Quantum of the Seas. 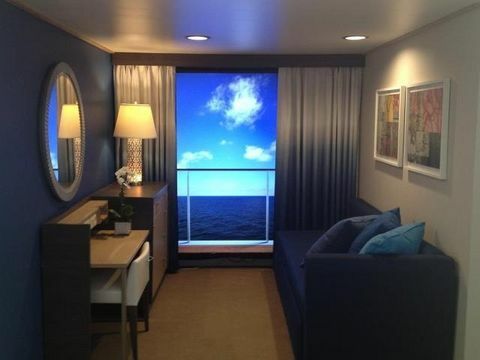 There will even be smaller virtual balconies in the studio staterooms that accomodate solo cruisers on Quamtum of the Seas. 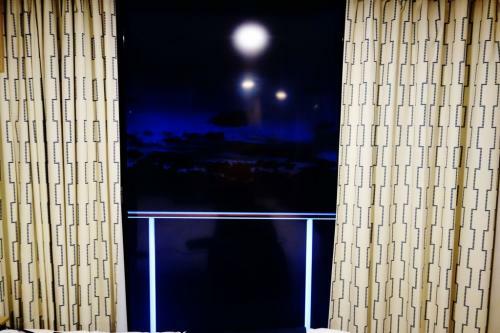 Charlie Miller of Control Systems, the concept design company behind the virtual balconies, spoke to Fox News about several of the challenges in creating an authentic feel to Royal Caribbean’s virtual balconies. Another challenge was making it all look the way designers envisioned, as Fox News reports, "Designers wanted to create virtual banisters and even balusters, the vertical poles that hold the banisters in place. But the banister had to appear to be outside the window, like on a real balcony. And that created a whole new set of visual challenges, because the look of a real banister changes all the time as the sun and the ship change directions. The answer was to incorporate sun movement charts and powerful GPS data to add “real” shadows and highlights to the virtual banisters. At the same time, they decided not to put virtual glass between the balusters." If there's one feature of Royal Caribbean's next-generation cruise ship that is just starting construction, Quantum of the Seas, that is capturing people's imagination the most, it's likely the virtual balconies. These 80-inch LED screens attached to a wall are promising to deliver an innovative take on the inside cabin. Understandably, there's a lot of intrigue regarding this new kind of cabin and people want to know what it is exactly and what to expect. We don't know everything quite yet, but here's a listing of all the information on virtual balconies that we do know in one place. The virtual balconies will be 80-inch LED projection screen that stretches from floor to ceiling. They will offer digital real-time views of the ocean and destinations visible from the ship’s exterior. It will be displayed in high-resolution color on a giant 80-inch LED screen on the wall of an otherwise windowless stateroom. It will work at sea and in port. Will virtual balconies cost extra? When they were announced, Royal Caribbean CEO Adam Goldstein said there will not be a specific surcharge for interior cabins with virtual balconies, but added that he hopes they will bring higher yields. How many inside cabins on Quantum of the Seas will have virtual balconies? 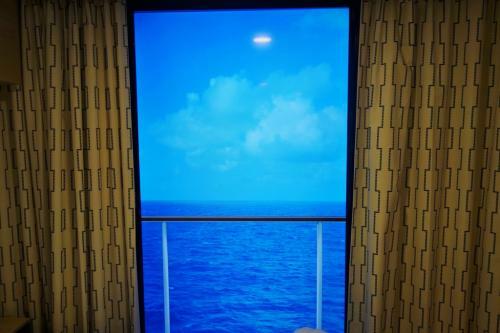 There will be 373 inside cabins on Quantum of the Seas that will offer the virtual balcony feature. 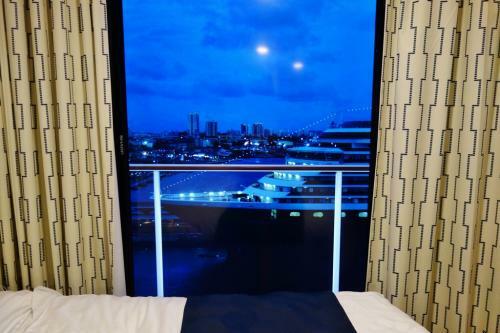 Will any ships other than Quantum of the Seas have virtual balconies? It's a safe bet sister ship Anthem of the Seas will have virtual balconies along with the unnamed third Quantum-class cruise ship Royal Caribbean has on order. In addition to those ships, Navigator of the Seas will receive virtual balconies as part of a previously planned refurbishment. Navigator of the Seas will go for its refurbishment in December 2013. It is scheduled to sail from Galveston when the upgrades are complete. Royal Caribbean will use Navigator of the Seas as the "testing ground" for this brand new innovation. 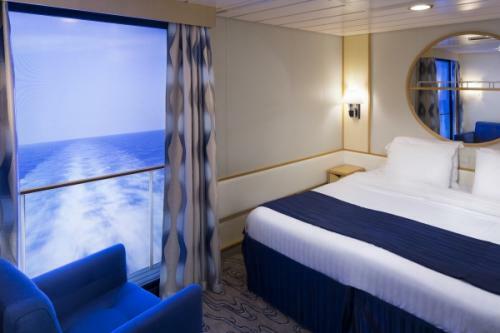 In addition to Navigator of the Seas, virtual balconies will be included as part of scheduled refurbishments for Voyager, Adventure and Explorer of the Seas. Those ships are set to undergo the revitalization process in 2014-15. Will the virtual balcony projection be on all the time? No, you may turn the virtual balcony feature on or off at your convenience. 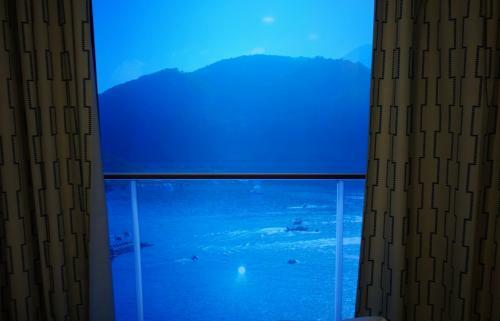 Where did Royal Caribbean come up with the idea for the virtual balconies? According to Royal Caribbean Chairman Richard Fain, they got the idea from Disney Cruise Line's virtual portholes that debuted on their ships a few years ago.